The very best commercial deals are not found, they are created. Many people believe that all of the great deals are already taken, everything is way overpriced. 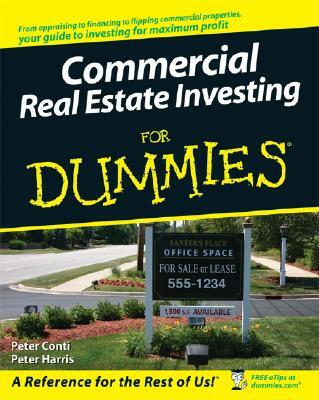 They don’t invest in commercial real estate because they don’t believe there is any real cash-flow. I want to teach you how to turn a bad commercial deal into a good one, and how to tell if a bad deal is worth purchasing, and new ways to look at deals that will put you in a state of creating rather than competing. There was once an African farmer who had heard of others making millions of dollars in diamond mines, so he got really excited and decided to sell his farm, and go out and find his own diamond mine. He spent years just wandering the deserts of Africa looking for his treasure. After many years of searching and finding nothing, he became so broken and discouraged that he threw himself into a river and drowned. A very sad story. The farmer, who purchased the first farmer’s farm is walking around one day and notices a large, unusual stone sitting in a stream on the property. It turns out that rock was a diamond and soon the farmer discovers that the entire farm is covered in acres and acres of diamonds. Had the first farmer educated himself, increased his knowledge, and prepared himself to know and understand what diamonds look like in their rough state, he would have realized that he was already sitting on his treasure. He was literally sitting on acres of diamonds. There was no need for him to go out searching for diamonds, because they were in his own backyard. Diamonds don’t look like diamonds in their rough state and neither do good commercial real estate deals. You could be standing on your own acres of diamonds and not even know it. You must learn how to spot commercial real estate diamonds. I am going to show you how to turn a bad deal into a good deal. I guarantee that you will find deals like this in your market. You need to identify them and unpeel the levels until you find something good about the deal, and see if you can turn it from a bad deal into a good deal. A 12 year old apartment building with an asking price of $900,000. The market value is $850,000 according to the sales comp. This means that the deal is overpriced by $50,000. There are 12 units in the apartment, which are all priced under market by $150 a month. The reason why is because the property needs $25,000 worth of repairs. There’s peeling paint on the exterior, terrible landscaping, and a bunch of pending city fines for the poor condition of the property. On the surface this property is not a good deal. It looks scary on the surface so most people will pass this deal right by. But here is a want you to do. Before you pass on any deal you must ask yourself three questions. Is the deal priced under or over market? Can I raise the rents? Can I use creative financing? So when applying these questions to our example, number one, this property is priced over the market. This is not a good thing. Number two, the rents can be raised by $150, which is a good thing. Number three, can I employ creative pricing? Well, the answer is we don’t know. We haven’t asked yet. But the real answer is we haven’t dug deeper into the deal yet to find the seller motivations. Because remember, to do anything creative, in all of real estate, you need to find out what the seller motivations are, and then restructure the creativity around the seller motivations. If there is a $150 rent upside for each of the 12 units that is a potential annual rent increase of $21,600. This is really important because, as the NOI goes up, the property value goes up. 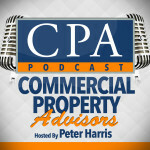 The NOI has a huge impact on the value of a commercial property. This does not apply to a single family home or residential deal, only to commercial properties. If you take your increase in NOI of $21,600 and divide it by the market cap rate, ($21,600 divided by 7%), you come up with $308,000. This means that because you increased the NOI by $21,600, the property is now worth $308,000 more. This is what we call forcing the equity on a commercial property. You can’t do this on your residential property, only on a commercial property. If you are wondering how I got the 7% cap rate, this is the market cap rate in my area. To find out your market cap rate, you will have to call a bunch of brokers local to your property and ask them what the going cap rate is for a 12 unit apartment building, C class, in the area. You get their answers, and average it, to come up with a reasonable estimated cap rate. average it, and hopefully it’ll come out to a certain number. In this case, it came up to be 7%, which is a reasonable cap rate. Can This Example Be Turned Into a Good Deal? Is it okay to buy it at $900,000 if you can increase it by another $300,000? The answer is yes, in my opinion. The $25,000 in repairs will scare away most buyers but in order to take advantage of the upsides of the deal, you will have to spend the money on the repairs. A 3000 Square foot office building that is listed at $900,000, which market comps show us is $50,000 above market value. There is no possibility of a rent increase, which means the income that the property is capable of producing is currently maxed out. The owner has also expressed some concerns about paying capital gains taxes. Can I use creative financing? Possibly due to the seller’s concern about the property gains taxes. Creative deals are structured around seller motivation, which is exactly what you have with this deal. In this case I would use a master lease agreement with the following terms. I would pay a 10% down payment and pay 5% interest payments to the owner for five years. This would mean that with a Master Lease Agreement the seller would only have to pay taxes on the 10% downpayment. Bank financing would require 15% down, interest, plus would require a much larger mortgage payment every year, which would make your cash on cash return 5%. Question 1: Is the Deal Price Under or Over Market? I believe that if you want to be a good steward of your money, you need to know what you’re buying and if it’s a good deal or not. A bad deal is if you’re way overpaying with nothing in the future to accommodate for the overpaying. You need to know where the deal stands in the market. 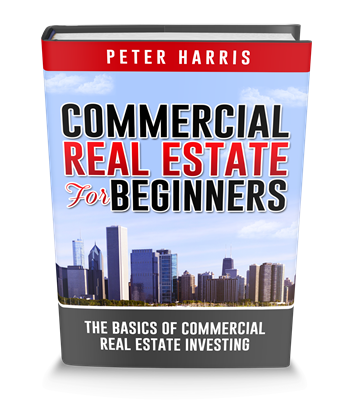 I want you to watch my video called, ” The Secret To Commercial Real Estate Success”, so that you may fully understand how not to over pay on your deal, what to look for, and what terminology you need to know to make sure that you are a responsible investor. Question 2: Can I Raise the Rents? That’s the story of all investors all around the country. We want to raise the rents, because we know if we raise the rents and raise the NOI, our property value goes up. That’s how we force the value to create millions of dollars over the years, by inching up the rents over the years to create massive wealth. Small companies, medium size companies, and super large companies do the exact same thing. Raising the rents, raising the NOI, gives you options so that you can enjoy greater cash flow, sell the property and buy a larger one since it’s worth more now, or you can do one of our favorite techniques, which is the cash out refinance. Question Three: Can I Employ Creative Financing? Hopefully you now understand the importance of these three questions. Once you get a good understanding of everything I shared in this blog, you will start to know how to turn bad deals into good deals, and lastly you’ll be able to start finding your acres of diamonds in your own backyard without selling the farm. I’m a beginner. I’m just devouring the information you guys are sharing. Very useful. I have a question: Your whole sale system is no longer available?